International Lux Magazine. 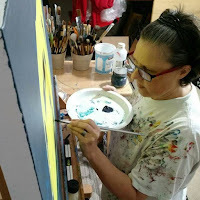 : Special Article about the American Artist: Shannon Fannin. 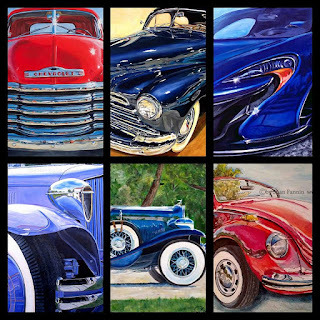 In this special Article we share with the distinguished readers the beautiful and special paintings of the featured and recognized American vehicle artist: Shannon Fannin. We share her biography: She was born in Long Beach, California. She earned a college scholarship to pursue an art teaching degree for teaching special needs children. However, life had other plans. She put becoming an artist on hold for marriage, a career in marketing, and raising a family. Using her portfolio for a resume, she taught elementary school art for two years through a private academy. After a 25yr hiatus from an art career, Shannon returned to school to refresh her abilities. She took a handful of courses to reacquaint herself with mediums, and started to build on her expressionistic style. 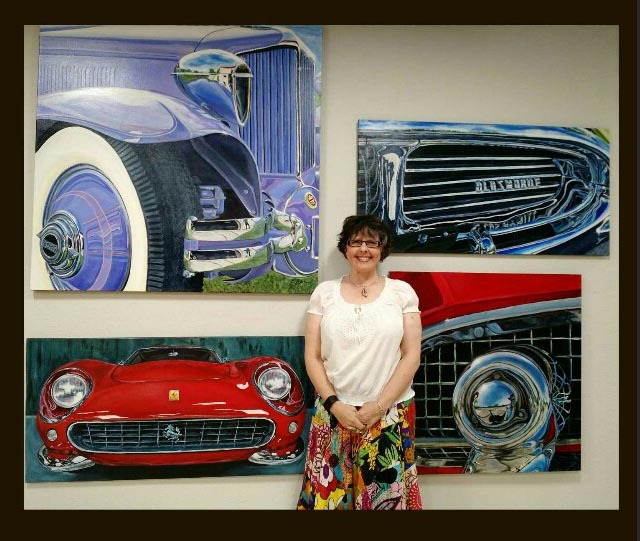 Being a great fan of color, Shannon Fannin prefers working large in many media including: pastel, charcoal, watercolor, gouache, ink, and acrylic, and usually combines many of them in mixed media pieces. She enjoys bringing chrome and carbon fiber alive through her vehicle paintings, conveying the human form and imagined still lifes. Her eclectic nature allows her to create work that simply makes her happy. She lives in Austin with her husband of 26yrs and their college student son. 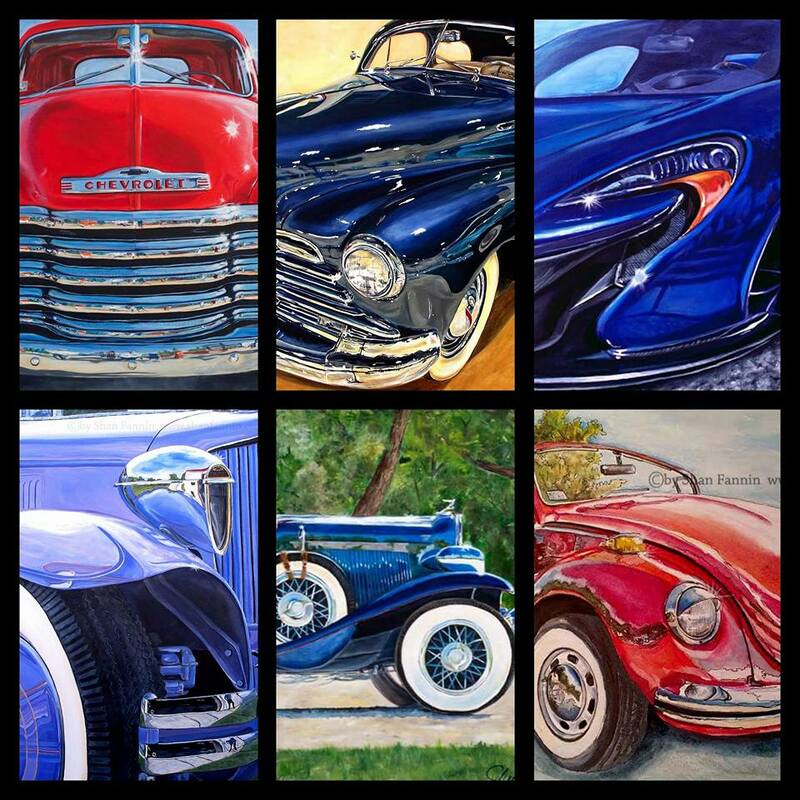 The automotive artistic style of Shannon Fanning walks the line between realism and expression. 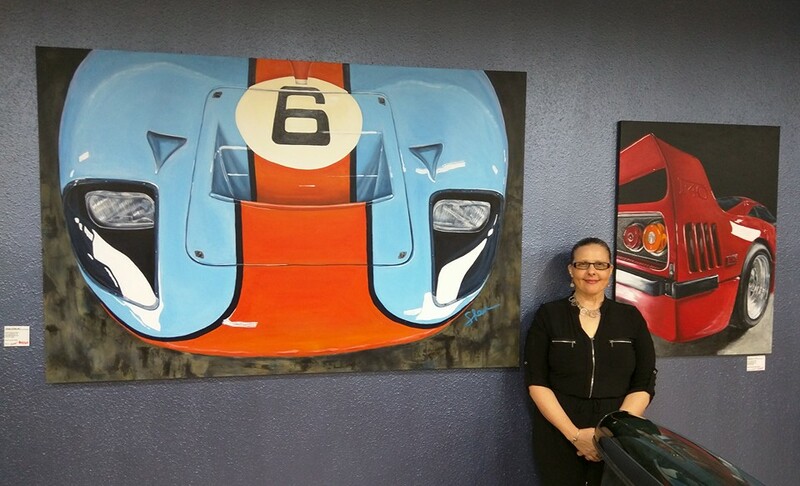 Her works are vibrant, large statement pieces that feature Classic to Super Cars. 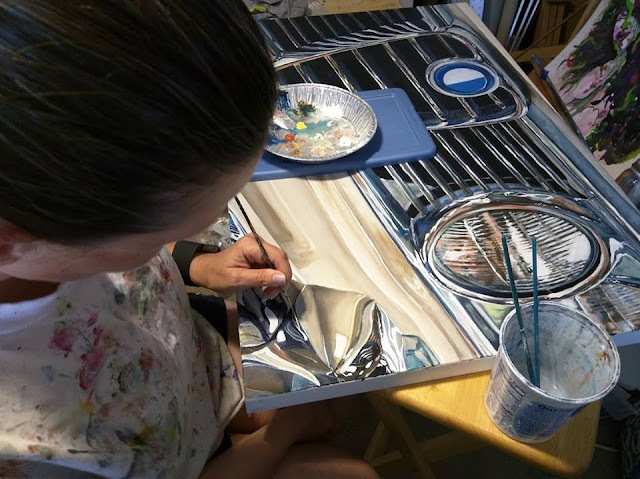 In March, Shannon had her first solo exhibition at Amelia Island Concourse d'Elegance 2016 (The video is included in this special Article); through the event, she was commissioned to paint an award winning Lamborghini 1966 Miura. 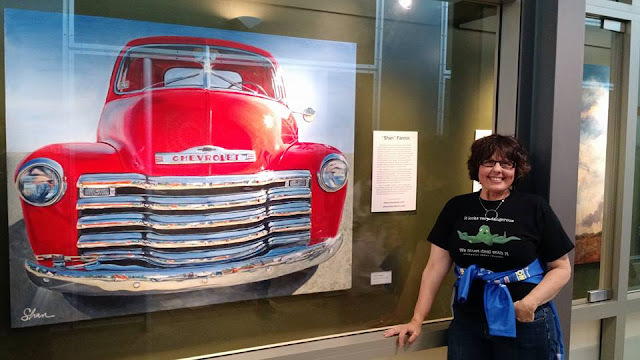 She has been in numerous exhibitions, including first place at the recent Texas State University BIG Show for her 4’x6’ 1963 Mercury Monterey. Shannon Fannin recently returned from the Goodwood Festival of Speed in Chichester, England in order to capture thousands of reference photos. 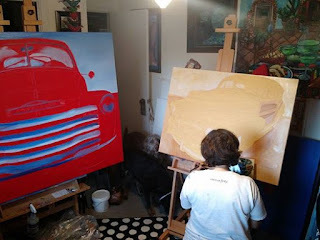 She has great plans for painting classic European and racing vehicle in the near future. 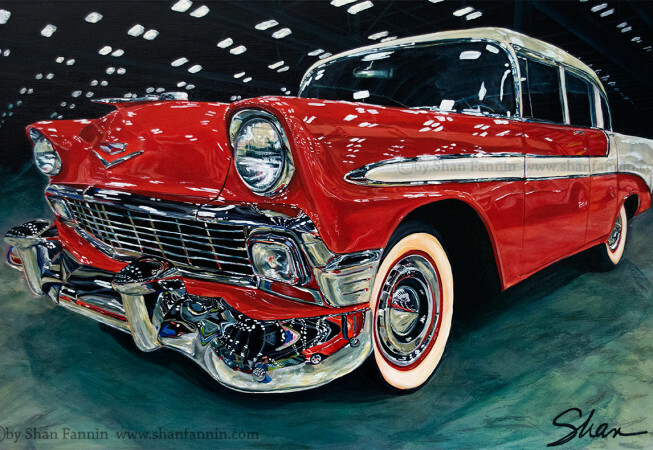 Shannon is passionate about her work, and is driven to be one of the finest vehicle artists in the world. 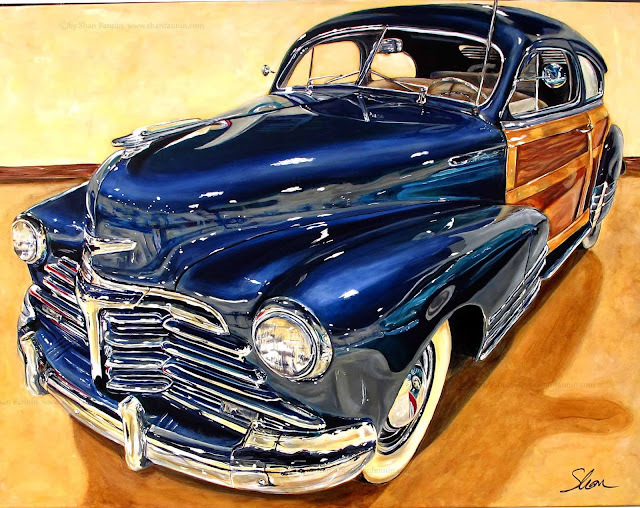 International Lux Magazine congratulates to the featured American artist for her special ability for this type of art so interesting and expressive, created with a impressive realism and with mastery of painting techniques. We wish for she more successes with her beautiful artistic works. Web Site (Art by Shan): click HERE and Facebook fan page: click HERE.